Perfect Poached eggs every time are super easy. Granted, they can be a little messy, there’s no longer a reason to fear making an egg to top your sauteed asparagus or to have with Hollendaise. Me? I eat it a little simpler with a piece of toast and slice of proscuitto. We’re looking at steps here more then a “recipe”. 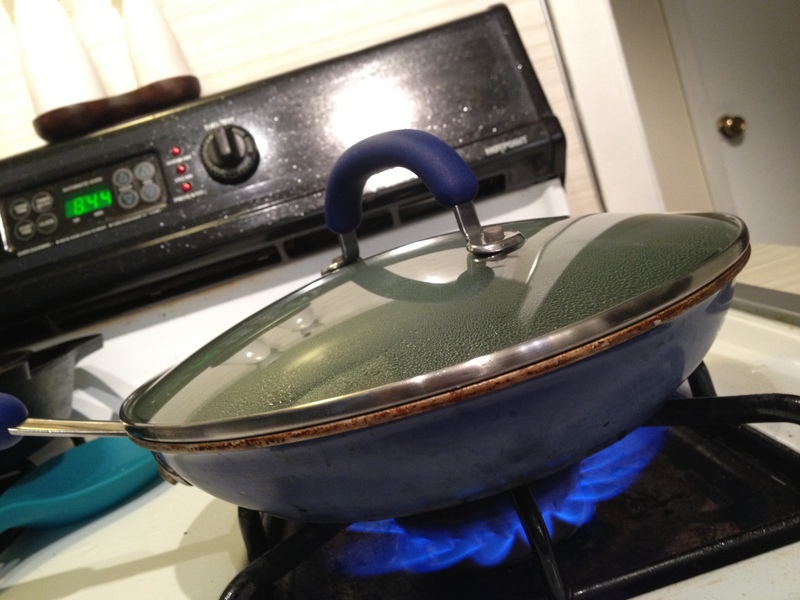 Take a skillet – that’s right, leave your pot in the cupboard as it has no place in poaching an egg. I used an 8inch pan. I filled it almost to the bring with water, leaving only about a 1/2 inch around the edge. I placed it on the stove, added 4 Tbsp or so of white vinegar. I do this by eye. Any where from a few tablespoons to a quarter cup is fine, but very necessary. It’s not going to alter the taste of your egg…though it may make your house smell slightly pungent. Then crank that burner up and get that water boiling. While waiting for the water to start rolling, crack your egg into a small handled mug. This makes it easier to slide that little baby into the water without the whites freaking out and flying away. Once the water is boiling, turn off the heat. You heard me. Turn. It. Off. Get the lips of the mug with your egg in it as close to the water as safely possible and gently pour the egg into the water. Cover and set your timer for 4 minutes. Once that timer goes off, remove your egg from the water with a slotted spoon and strain on a paper towel or stop the cooking by placing it in an ice bath. Once ready to eat, sprinkle with salt, pepper, and a little dried parsley. You can do up to 4 eggs in the pan at once if need be, but remember to adjust your water for displacement. When I remove my egg, I strain it on a paper towel for a minute before making a plate and digging in. You can adjust the doneness of your egg by cooking as little as three minutes to as many as five. You can also halt the cooking by removing your poached egg from the hot water and dropping it into an ice bath, which you can keep in your fridge for future eating for up to 5 days. Whether served on a steak, over sauteed or steamed veggies, or just a la cart like my breakfast, there’s always room for a poached egg. And, just in case you were wondering, a poached egg is a mere two points on Weight Watchers. So go ahead, eat four. Freakin’ delicious – and classy, too! 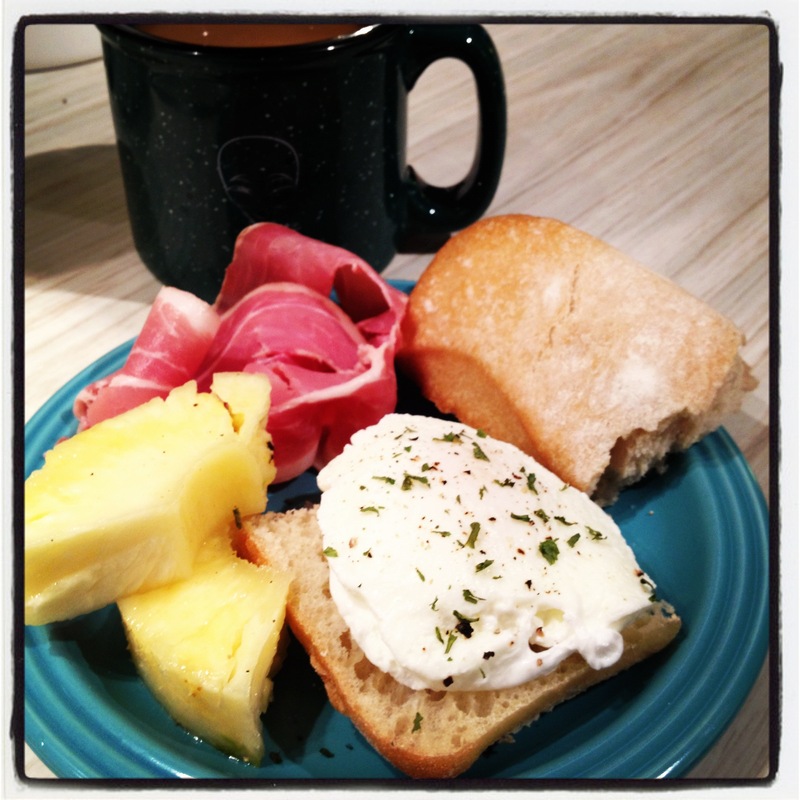 This entry was posted in Entertainment, Food, Recipes and tagged breakfast, cook, diet, eat, eating, lunch, poach, poached egg, recipe, recipes, side dish, snack.